Here in Central New York, things are still looking quite bleak and dreary, but the calendar tells us that Spring is here! It may not have “Sprung” just yet, but the end of this long, drawn out, snowy, winter is in sight! The wedding and portrait season is almost upon us, and we can’t wait to kick off some fabulous celebrations this year! We will be revisiting some old wedding venues in the coming months, and embarking on new adventures at brand new places. We’re very excited to work with our brides and grooms to try out some new things, and create some artful wedding portraits for you to see! Our availability, as always, is limited, so if you would like to book a portrait session or you’re planning a 2011 wedding and would like to book us for your special day, please contact us soon, so we can get working on tailoring a custom plan, just for you! If you would like package and pricing information, email us for a brochure at info@173.199.123.230. As promised, here are a few additional highlights from 2010, only seen here on our blog! 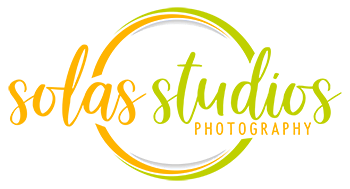 For more highlights, visit Solas Studios on Facebook. Follow us here, and on Facebook to be notified of any discounts or specials! « Happy 2011 from Solas Studios!